Celebrate Earth Day with a special screening of clips from STRAWS, a powerful documentary focused on the growing plastic pollution crisis. 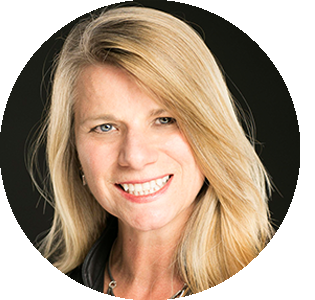 Classrooms will see highlights of this film and meet producer/director, Linda Booker, who will help students explore why the elimination of single-use plastics is so important to the well-being of our planet. Sparked by research that plastic straws are now among the top-five beach litter item collected, STRAWS outlines how billions of non-recyclable plastic straws litter streets and wash into the ocean. During this Virtual Viewing Party, students will learn about the impact straws are having on the environment and its inhabitants and discover how they can make a big impact with simple actions. A virtual viewing party is a shared viewing experience of a special Discovery Education video. 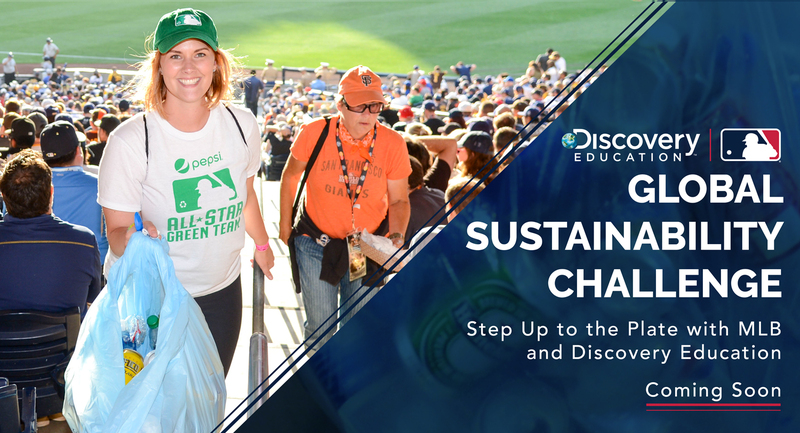 The Earth Day virtual viewing party features a special screening of clips from the film STRAWS, which will help students explore why the elimination of single-use plastics is so important to the well-being of our planet. Thousands of classrooms will participate in this viewing party simultaneously. First time? Read our FAQs for additional information. The content and activities are suitable for all grades but we always recommend a preview to determine whether the content suits your needs. We will learn how straws were first used by ancient civilizations up to our current disposable culture that has led to billions of plastic straws winding up in landfills or as litter, finding their way to oceans and adding to the tons of plastic debris harming marine life every day. We will learn how a team of researchers estimated how much plastic waste goes into oceans annually and how much that will increase by 2025 if people continue to use plastic at the present rate. We will meet Max Machum, an 11-year old who started his own “No Straw Challenge” campaign in Guanacaste, Costa Rica after seeing the video of the sea turtle with a straw in its nose. Why do people use straws? What are some other materials that could be used to make straws? How has plastic become a problem for our environment? How do products we use on land affect our oceans? How have societal needs and wants influenced the development and use of straws? What are the trade-offs between using plastic straws and not using plastic straws? How can you creatively and effectively spread the message to reduce plastic use? recommend a preview to determine whether the content suits your needs. Having trouble viewing the live video? Try our in-product video or this Vimeo link. Your class can watch the video at any time and join the discussion independently. If you are participating on-demand, you may want to have students review the Earth Day Padlet or Twitter discussion to compare ideas and make connections. You can also use the suggested resources below to support your discussions. We’ve created a collection of activities for K-12 classrooms to drive discussion, ignite student’s natural curiosity and connect the content in the virtual viewing party to your curriculum. Interested in accessing the footage and resources from this Earth Day Virtual Viewing Party after April 22? Log in and search the Earth Day Content Collection. Not a Discovery Education user? No problem. Request a demo. Use these assorted resources and lesson starters to prepare for Earth Day! Participate in citizen science projects today to collect data to share with real world scientists! Protect our planet and celebrate Earth Day in partnership with Girl Scouts of the USA! Celebrate Earth Day with Conservation Station’s Week of Resourcefulness! Check out the new STEM Investigation activities launching every day this week! 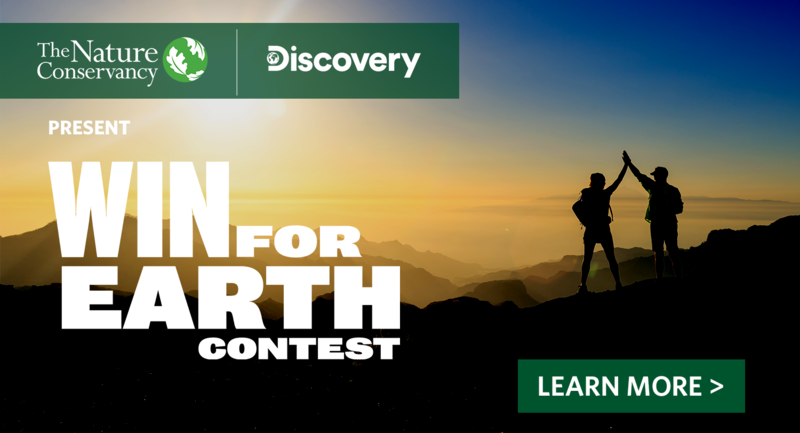 For Earth Month 2019, Discovery and Nature Conservancy are celebrating and rewarding people who take meaningful actions for the planet. We can’t solve the world’s biggest challenges alone, but together we can win for Earth.